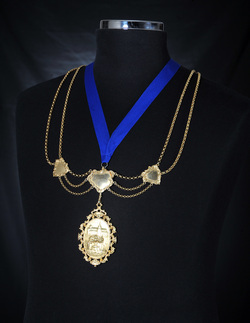 The Deacon wears the Chain and Medal of office when representing the Incorporation at various events. The present chain was bequeathed by Past Deacon Alexander Melville on the 28th October 1973. 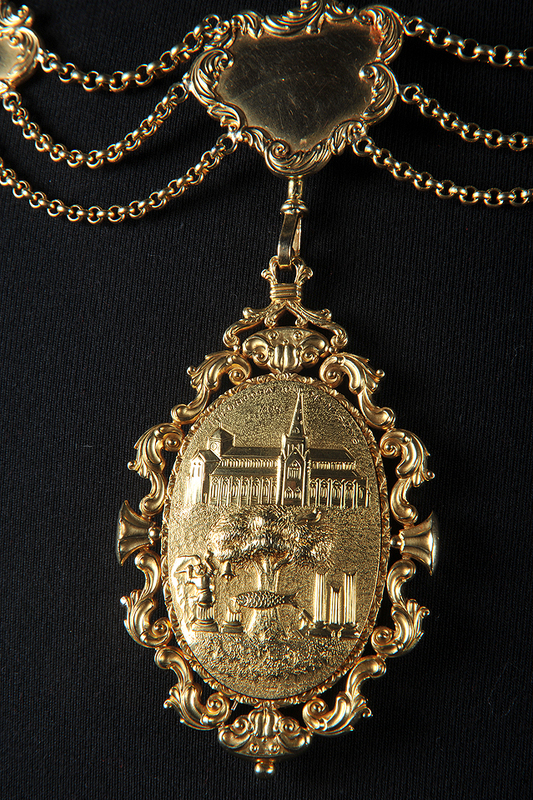 To see an enlarged view of the Deacon's Medal, please click here. The Deacon also has a miniature medal which he wears at functions where dancing will take place. To see a copy of the miniature medal, please click here. The Collector's Chain and Medal was formerly the Deacon's Chain and Medal until the new one was presentedby Past Deacon Melville. There is very little difference beween both chains and medals other than that the Deacon's is slghtly larger. To see a large image of the reverse of the Collector's Medal please click here. After the Collector has served his year in office he becomes the Late Collector and has a fallow year. The Late Collector is given the Late Collector's medal which he wears on formal occasions during his year as Late Collector. 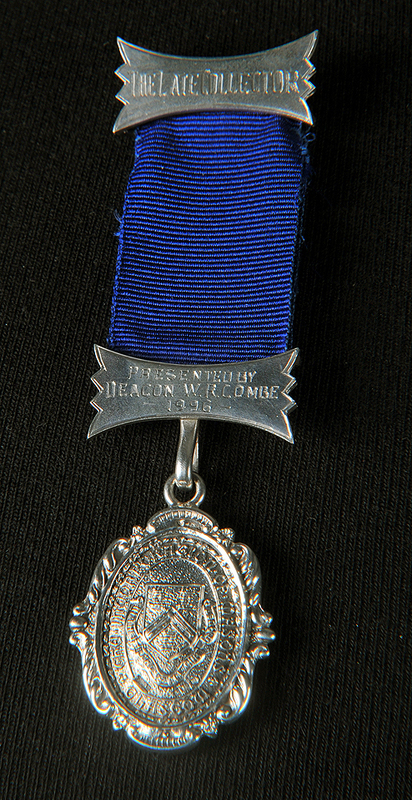 The Late Collector's medal was presented by Late Deacon W.R. Combe in 1996. After a Deacon has served in office for one year he/she becomes the Late Deacon and is given a replica medal of the one worn as Deacon. The Deacon retains this medal and wears it with pride at various Incorpoation events. 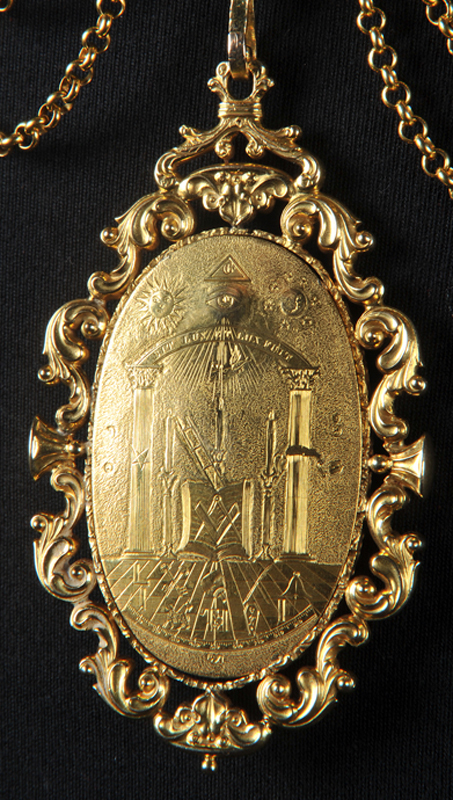 To see an enlarged view of the Deacon's replica medal, please click here. We do not have photographs of all the Late Deacons nor their addresses when they became a Deacon. As much information as known and appropriate has been added to the document below. If you would like a large image of one of the Past Deacons, please use the [CONTACT] page to send a request.